Today, I wanted to share rare Valentine’s Day beauty discount at Nordstrom! You’ll get $15 off select Lancome Genifique + 6pc Lancome gift and more! Ulta beauty is offering $117 haircare gift bag free with $50 haircare purchase! NORDSTROM (NEW) GIFT 1: Limited Time Offer!! Receive $15 Off select Lancome Genifique . Lancome Genifique Serum regularly $78 – $178 with $15 off $63 – $163, Lancome Genifique Eye cream reg $67 with $15 off $52. Combine GIFT 1, GIFT 2 and GIFT 3! GIFT 2: Receive a cosmetics bag and deluxe samples of Absolue Premium Bx SPF 15 Moisturizer Cream (0.5 oz. ), Crème Mousse Confort Creamy Foaming Cleanser (1.7 oz. ), Bi-Facil Double-Action Eye Makeup Remover (1.7 oz. ), Définicils Mascara in Black (0.07 oz.) and a Color Design Eyeshadow Palette in Coral Crush (0.07 oz.) with your $42.50 Lancome purchase. (NEW) GIFT 1: Limited Time Offer!! Receive $20 Off select Estee Lauder Moisturizers at NORDSTROM (1.7oz or larger). (NEW) GIFT 2: Receive deluxe samples of Perfectly Clean Multi-Action Foam Cleanser/Purifying Mask (0.24 oz. ), Perfectionist Pro Rapid Firm + Lift Treatment (0.24 oz.) and Revitalizing Supreme+ Global Anti-Aging Cell Power Creme (0.17 oz. ), plus a Double Wear Light Soft Matte Hydra Makeup sampler card (8 single-use shades) with your $49.50 Estee Lauder purchase. (NEW)(HOT) GIFT 3: Get a free 28pc beauty gift (a $217 Value) with your $100 beauty or fragrance purchase use coupon code DMOON100, while supplies last. (NEW) Charlotte Tilbury expands her iconic Pillow Talk lip color with a new eye palette and blusher, available here first January 17. (NEW) Wow her with jewelry she’ll treasure this Valentine’s Day—and every day. (NEW) Check your account for 5x points offer on select skincare brands. 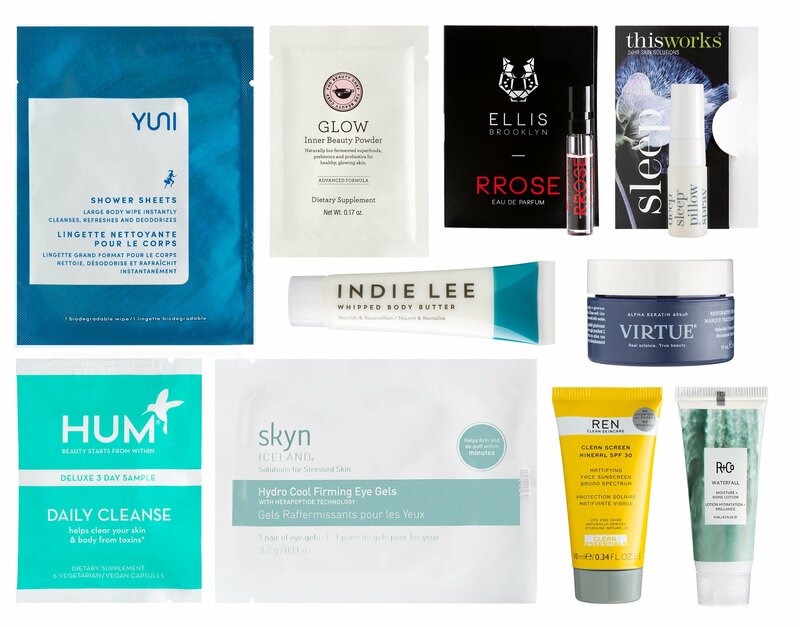 (NEW) Today only, you can get 50% off this Teami Blends Detox Mask and this First Aid Beauty Fab Faves To Go Kit at Ulta Love Your Skin Event 2019 thru January 26– ulta.com/loveyourskin. (1d)(VERY HOT) Hot Buys— Ulta skincare sampler boxes are now 70% off $96 and $98 value now only $15! (4d) Receive $3.50 off $15 purchase use coupon 600375 (exclude prestige brands) any qualifying purchase – printable version coupon here, ends 1/26. The Nordstroms bag looks great, but theres no way to put a code in at checkout. Hi Rachel. I’m glad you like it! We can apply a promo code in the payment page — NO. 3 in the checkout process. Look for “Promotion Code” and click Apply a promo code. It’s right before “review order” button. I hope that’s helpful! Please see my recent post for more updated Nordstrom promotions! Thanks for stopping by!